Customer Relationship Management (CRM) software has grown by leaps and bounds since its original conception in the late 1990s. Today, there are hundreds of CRMs on the market. Some are broad in scope, designed to be implemented into almost any industry. But many others are industry-specific and contain features that you can’t find in generic CRMs. Mortgage CRMs are designed to help loan officers generate leads and referrals, manage their contacts, increase efficiency, and close more deals. However, not every mortgage CRM is created equal. In all likelihood, you’ve already been using some type of CRM, but you may not be satisfied with it. Some of the most common objections to mortgage CRMs are that they are difficult to use, they don’t produce expected results, or they don’t sync well with existing technology. If you’re unhappy with your current CRM, don’t worry. Switching mortgage CRMs is easier than you may think. Nonetheless, most mortgage professionals have questions about how a new mortgage CRM can truly help them. Here are eleven frequently asked questions you should consider when shopping for the best mortgage CRM for your organization. 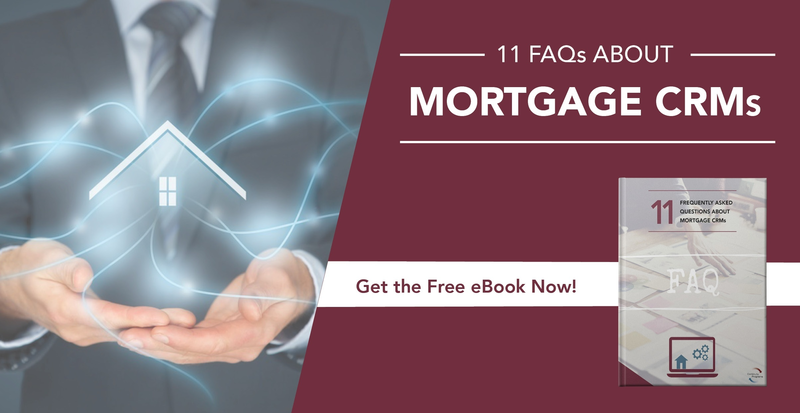 To dive even deeper into these 11 questions and find out more about what makes a top-notch mortgage CRM, download our free guide. 1. Is the CRM difficult to implement? Look for a CRM that was designed specifically for the mortgage industry. Furthermore, the software provider should take care of the implementation process for you. If the process of switching CRMs isn’t painless, it could imply that the CRM itself will be difficult and frustrating to use. 2. Is the CRM easy to use? If the CRM you are considering has a steep learning curve and requires you to read pages upon pages of operating information just to use, it might not be the best mortgage CRM for your organization. Although the most complicated CRMs have some interesting features, that doesn’t necessarily mean they are features you will use. 3. Does the CRM act like a virtual secretary? A CRM should make your organization more efficient. A CRM keeps track of all your contacts and provides your team with tools to follow-up with leads. In this sense, a CRM should act like a virtual secretary, making follow-ups easy and automatic. 4. Does the CRM help you generate mortgage leads? A CRM isn’t just for storing contact information. A functionality for mortgage financial marketing should be a top component of your CRM. Look for a CRM that automatically generates leads, referrals, and testimonials. 5. What types of marketing features does the CRM have? Your mortgage CRM should come equipped with key marketing features that increase repeat business, referrals, and cross-selling opportunities. Ask your CRM provider if their product offering includes automated email campaigns, follow-up campaigns, surveys, and other marketing features. 6. Does the CRM generate reports on KPIs? When you’re investing in new technology, you need to know your ROI. Your CRM should provide your executive team with access to KPIs so you can evaluate the effectiveness of your team, your campaigns, and your CRM as a whole. To learn more about the reporting tools of mortgage CRMs, download our free guide on these 11 FAQs. 7. Does the CRM integrate well with your other systems? Banks and mortgage companies keep a number of integral systems on hand to help them do their work, including mortgage loan origination systems (LOS). If your CRM doesn’t integrate with these essential systems, you run the risk of creating siloed processes at your organization. 8. Does the CRM come with a support team and training? It’s immensely important for your mortgage CRM to be easy to use, but it’s also important to have a support team on call when you need them. Ask your provider what kind of support services they offer in conjunction with their product. For example, you can ask how to contact support, how fast their response rate typically is, and what types of training services they offer. 9. Is the CRM scalable? If your CRM is going to help you grow, it needs to scale with your business as it does so. As you bring in more leads and close new business, your CRM must be able to handle increasingly large amounts of data and new users. More importantly, it should continue to perform well with every user that’s brought on board, so you can continue to grow your business. 10. Do other organizations use the CRM? Experience is often a sign of quality, so don’t hesitate to ask your CRM provider how other organizations have found success with their CRM. There are numerous CRM products on the market today. To find the best one, look at reviews and choose a company that has been in the business for years. 11. Is the CRM compliant with industry regulations? The mortgage industry is heavily regulated, and those regulations are constantly changing. You need a CRM and marketing system that not only complies with current regulations but can also adapt to new ones. Ask providers how their product complies with current mortgage industry regulations and how they plan to adapt. 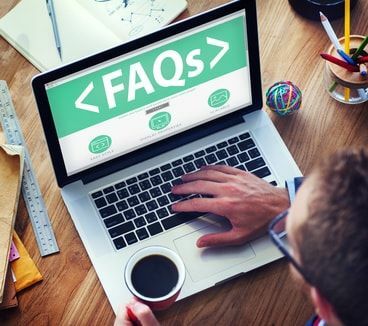 Looking for more information on these FAQs about mortgage CRMs? Download our free guide to see if you’re asking the right questions and getting the right answers. Or, feel free to contact us. What CRM are you recommending? Hi Reggie – Thanks for the comment. We recommend MyCRMDashboard or MGIC Elements. We offer several resources on the above links to aid you in your search for the perfect mortgage CRM. Hope this helps!